This work presents an interesting alternative for melt modification of polyamide 6 (PA6). Transurethanization was employed as an effective strategy for this purpose. At high temperatures (>160 °C), the dissociation of urethane groups and subsequent reaction with PA6 end groups result in chain grown. The effect of TPU incorporation (2–10 wt.%) into PA6 on the microstructure, rheology, and thermal and mechanical performance of PA6/TPU blends was investigated. The chemical reactions between PA6 and TPU were elucidated using a model reaction of amino acid and MDI. The phase morphology of the blends did not show defined phases of TPU. However, it was noticed the formation of micrometric pores. Both the melting temperature and crystallinity of neat PA6 decreased with TPU incorporation. 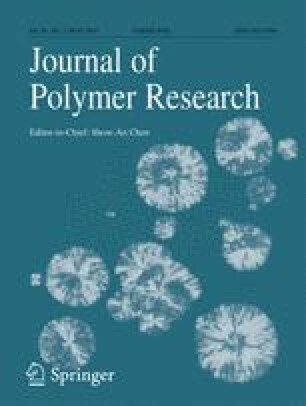 The production of a copolymer by terminal group reactions hinders the crystallization of polyamide with the reduction of nucleation and crystal growth. The increase in molar mass of PA6 can be confirmed by rheological measurements, in which an abrupt increase in viscosity was noted, as well as in the storage modulus. The impact strength of the blends significantly increased with the addition of TPU, whereas a discrete decrease occurred for the elastic modulus and tensile strength. The authors thank Conselho Nacional de Desenvolvimento Científico e Tecnológico (CNPq, Brazil) for financial support (Grant 308241/2015-0) and the Brazilian Agency Coordenação de Aperfeiçoamento de Pessoal de Nível Superior - Brasil (CAPES) - (Finance Code 001) for scholarships. The authors also thank Mantoflex Industria de Plásticos Ltda for the donation of the polymers, Laboratório Central de Microscopia Prof. Israel Baumvol for the FEG-SEM analysis, and Carlos Romoaldo and Debora Guerra for help with mechanical testing.